S. Afr. J. Bot. 103 (2016) 145-155. Deciduous geophyte 150-240 mm tall when in flower, tuber turnip-shaped, sometimes moniliform. Radical, erecto-patent, pinnately compound, lamina from simple with entire to lacerate margins to pinnatilobed, pinnatipartite or bipinnatipartite, ovate to broadly elliptic in outline, simple leaves or large pinnae 10-100 x 10-90 mm, obtuse, adaxially and abaxially sparsely hirsute with long appressed hairs. Petiole 30–100 mm long. Stipules 6-20 mm long, adnate to petioles with apices free. Scape, branched, bearing 2-6(-10) pseudo-umbellets with 3-9(-13) ﬂowers each. Pedicel cca. 0.5 mm. 5, posterior one erect, others reﬂexed, lanceolate, 7.5-11.0 x 1-3 mm, pale green with margins white. 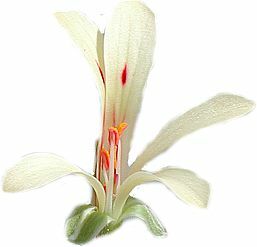 Hypanthium 20–52 mm long, 2.5-6.2 times the length of the sepals, pale green. or emarginate. Anterior three without markings, narrowly spathulate, 13.0-25.5 x 2-5 mm, apices rounded or emarginate. Perfect stamens 5, concealed in the ﬂoral sheath, posterior one 2-3 mm long, lateral two 3-5 mm long, anterior two 5-8 mm long, shorter than the sepals. 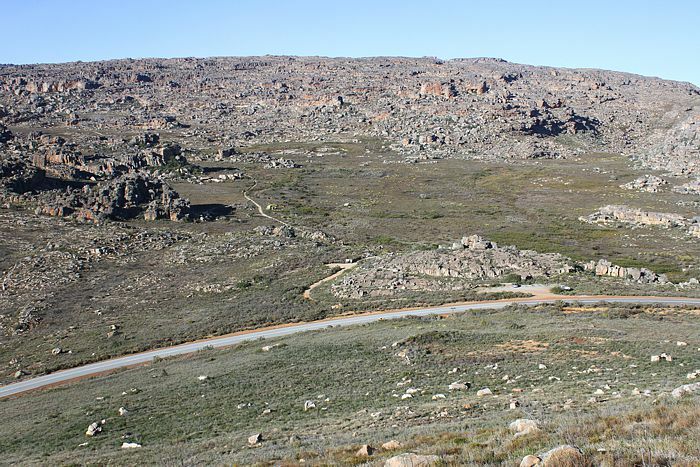 The road from Pakhuis Pass to Wuppertal is lined with P. wuppertalense, P. rapaceum, P. pallidoflavum, P. pilosellifolium and several other interesting species. P. wuppertalense is one of the many yellow-flowered species with short stamens that can be difficult to tell apart. 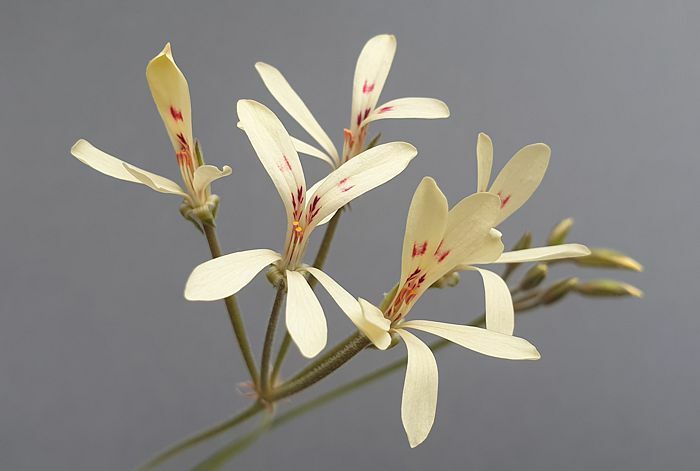 A key to these species is included in the description of P. luteopetalum. 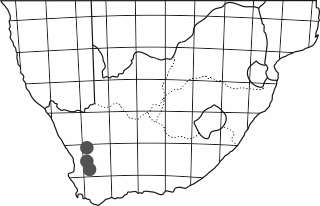 The species is found in the Cederberg in fynbos on sandstone and flowers from October to December (in nature). 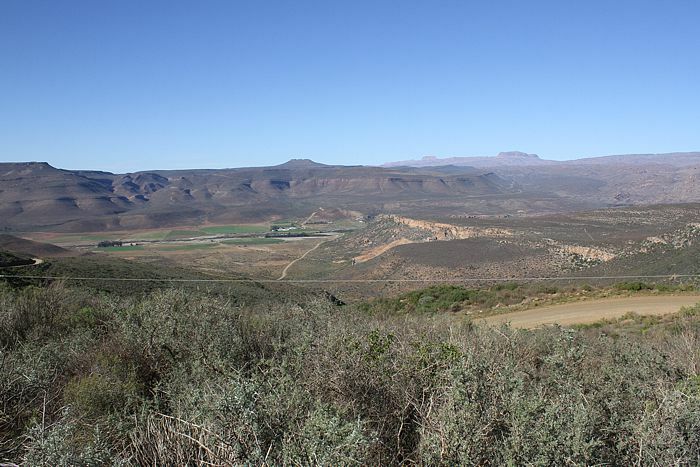 Pakhuis Pass is an easily accessible Hoarea paradise a few kilometers from Clanwilliam. 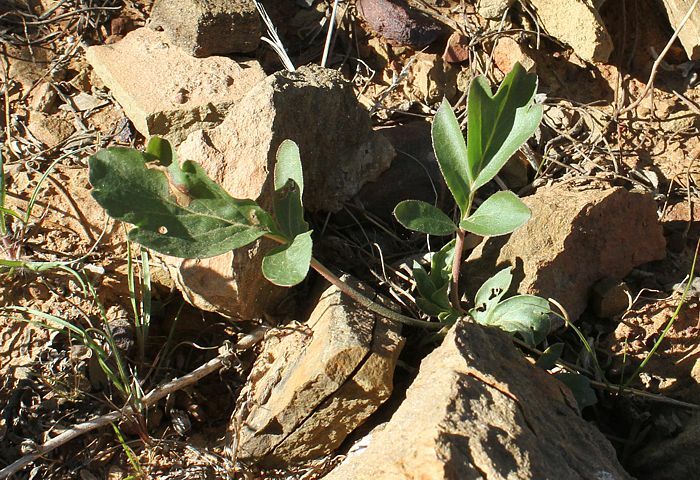 A popular starting point for treks into the Cedarberg mountains, it is frequently visited by Pelargonium enthusiasts.